2019-2020 CanSkate registration is now live. Please visit the "Registration Tab" to register. 2019-2020 CanSkate registration has now gone live! CanSkate registration is available online through our website under the "Registration" tab. Please either login or create an account. More information on regular season programming, as well as registration will be coming soon. We are happy to help you figure out the best option/registration details. Cost includes class payments and administration fees. Note: All new skaters, please be sure to add the Skate Canada Fee subscription for the 2019-2020 season. See below for description of our CanSkate program, for more information on Figure Skating programs, or Hockey + Ringette skating skill development programs, please click here. *Attention: Century Skating Club does not provide helmets OR skates. Please bring fitted skates, warm clothing, mitts, and helmet for your child. For beginners of all ages, children or adults, as well as for those wishing to improve their basic skills whether their focus be for figure skating, hockey, speed skating or just skating for fun in a group setting. Best Wishes to Maureen Knight on her retirement! Maureen Knight was an integral part of our coaching staff at Century Skating Club for many years. 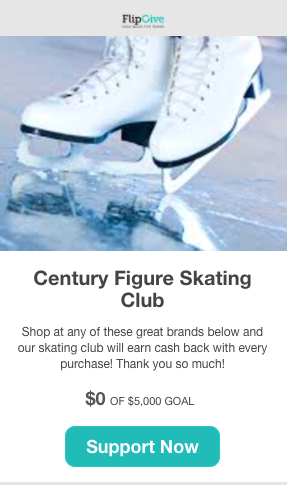 She helped to make Century a successful skating Club.